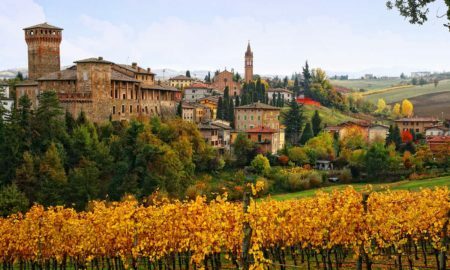 Each fall, I like to highlight the top value red wines from my year of imbibing (the whites will be coming later in the season). Sometimes there’s a standout like last year. 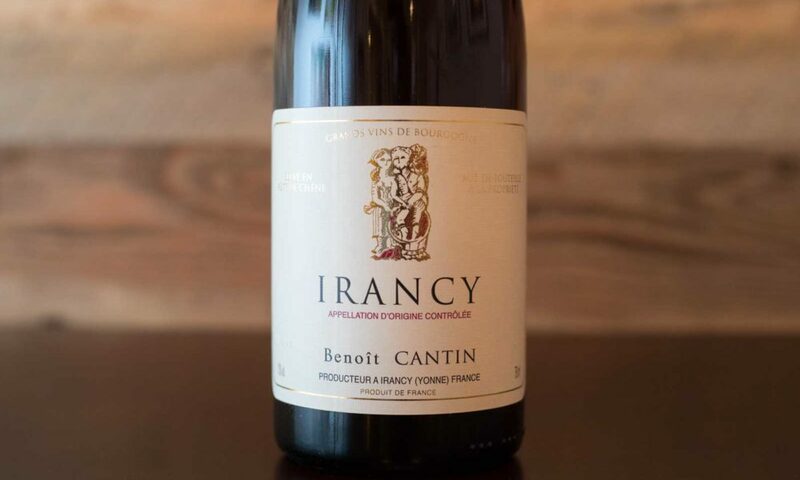 That’s what I found this year as well — the 2014 Benoît Cantin Irancy was easily the best buy I came across. But I also have a couple of distant honorable mentions listed at the bottom. 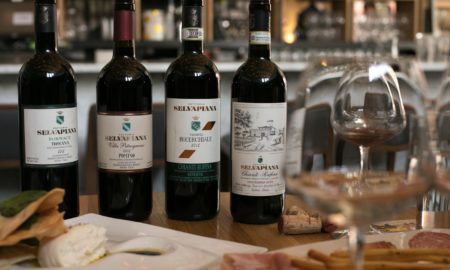 All three wines are ideal for fall cuisines such as pumpkin soup, hearty pastas and roasted meats. 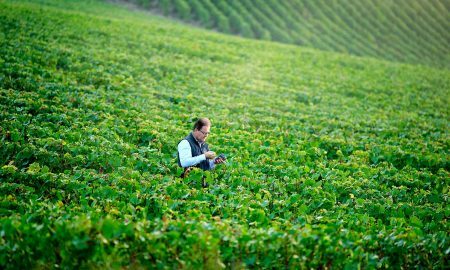 There is a lot of fun to be had snooping around the edges of Burgundy in search of an affordable Pinot Noir. 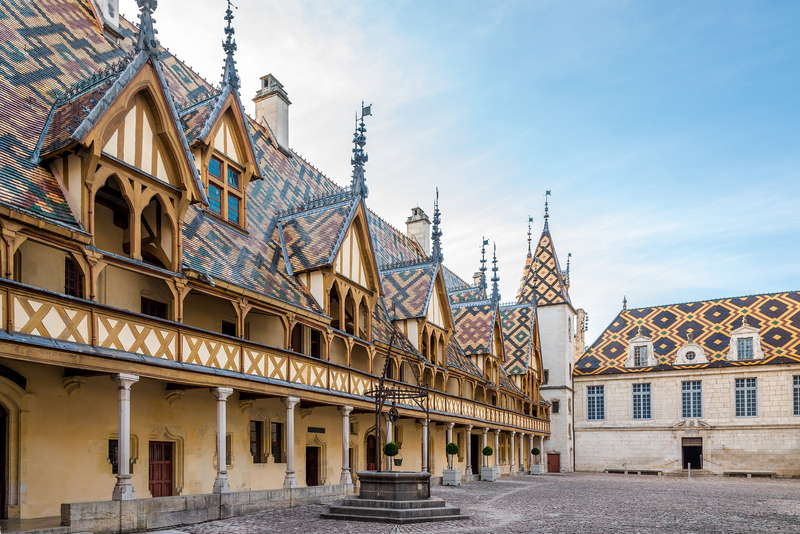 The highs of the Côte d’Or — Burgundy’s famous core of Grand Cru and Premier Cru vineyards that stretch from Dijon to Santenay — come at a staggering cost, yet the few tastes I’ve been granted have permanently perked up my antennae for “poor man’s Chambertin.” Of course, each little enclave of Burgundy is unique and should be celebrated for its terroir — they really aren’t comparable to one another. Yet the effort to find a unique expression of Burgundy at a price I can stomach can have tremendous rewards. Which brings me to the bottle of Irancy pictured above. When this one crossed my path in July, I decided to wait to write about. I also bought a second bottle and just shared it with friends a couple of weekends ago. This is Pinot Noir from the fringes alright, both in terms of its flavor profile and structure, as well as its origin. 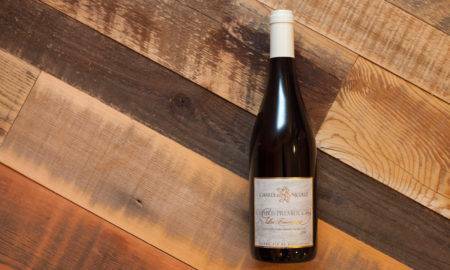 Extraordinarily light in color, its nose offered up a highly detailed expression of fruit, earth and spice. It was just so inviting, and sturdy, too: we re-corked it after a glass each and enjoyed it on a second night with very little change to its structure. 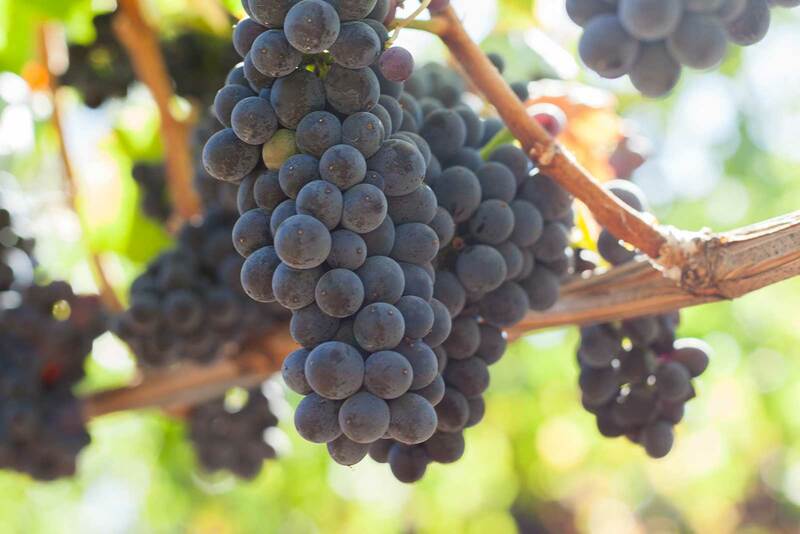 Few grape clusters are more beautiful on the vine than Pinot Noir. ©Kevin Day / Opening a Bottle. Buy this photo and support the content of this site. 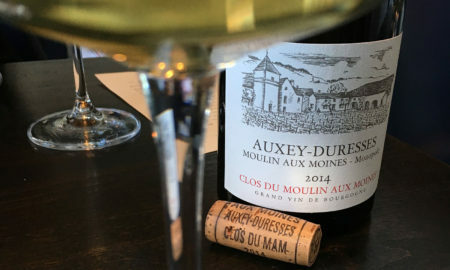 The wine comes from a very small domaine in Irancy, which is a village southeast of Auxerre that makes one of Burgundy’s most unusual red wines. 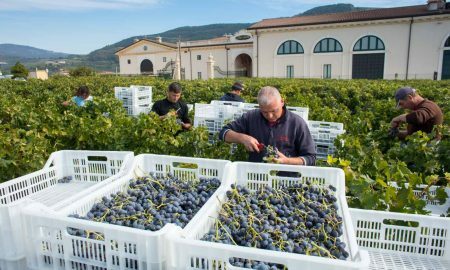 Some of this has to do with the local tannic red grape called César, which is permitted for blending (up to 10%). 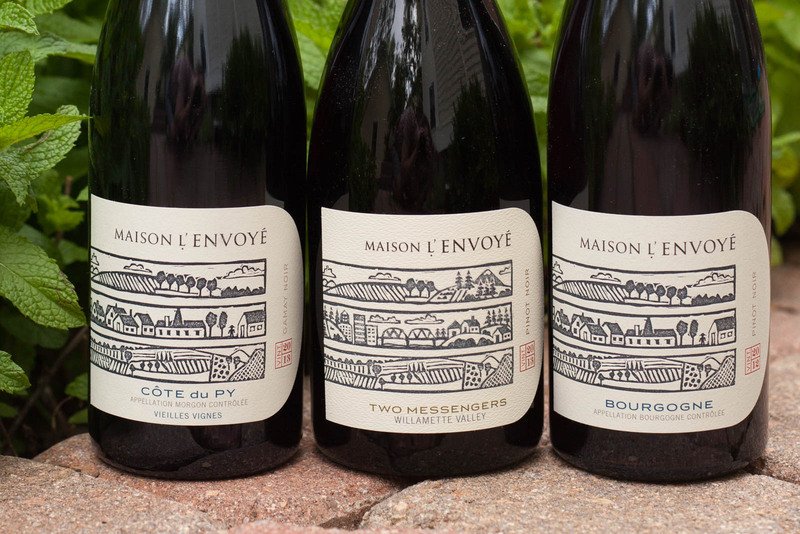 Some of it also has to do with latitude; this is as far north as Pinot Noir goes in Burgundy. Only Champagne and Alsace have more northerly Pinot Noir vineyards in France. 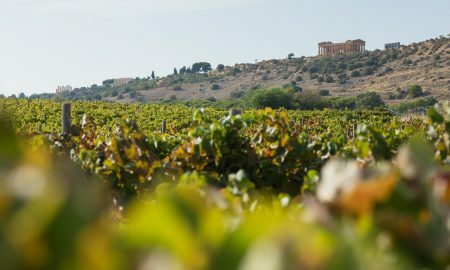 Irancy’s amphitheater of south-facing hills are excellent at coaxing enough warmth from the sun to ensure a vintage each year. But the village’s eccentricities have more to do with its “Chablis-ness.” (By the way, I just invented that word, so I better hashtag it). 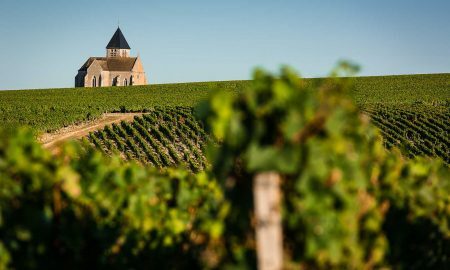 Chablis is only nine miles away as the crow flies, and so the vineyards share the same Kimmeridgian soil that has done wonders for Chardonnay. 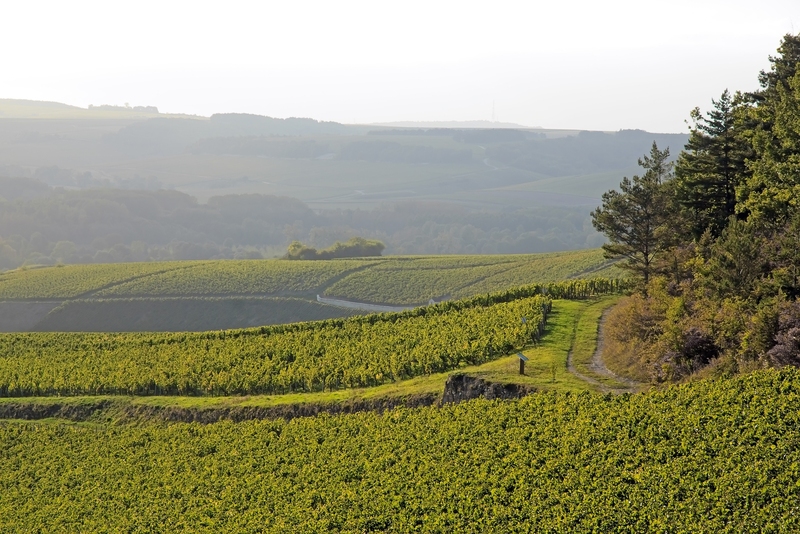 Given Chablis’ stature, and its close proximity, one would assume that enterprising winemakers in Irancy would have long ago hitched their wagon to Chablis, ripped up their Pinot Noir, and gone all-in for Chardonnay. 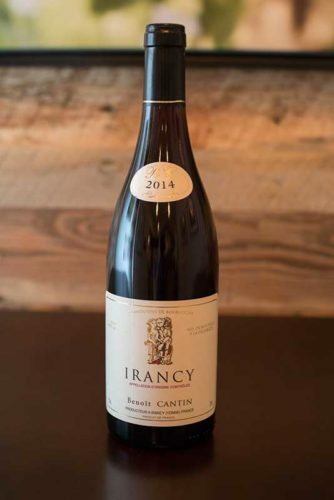 But Irancy has always enjoyed success with red wines, and it there are any similarities to its white-wine making neighbor, it lies in the texture. 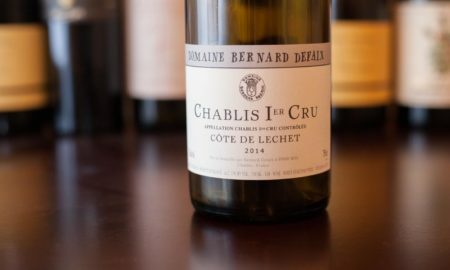 The Benoît Cantin Irancy has a wonderful silkiness on the palate that is not far off from Chablis’ texture. 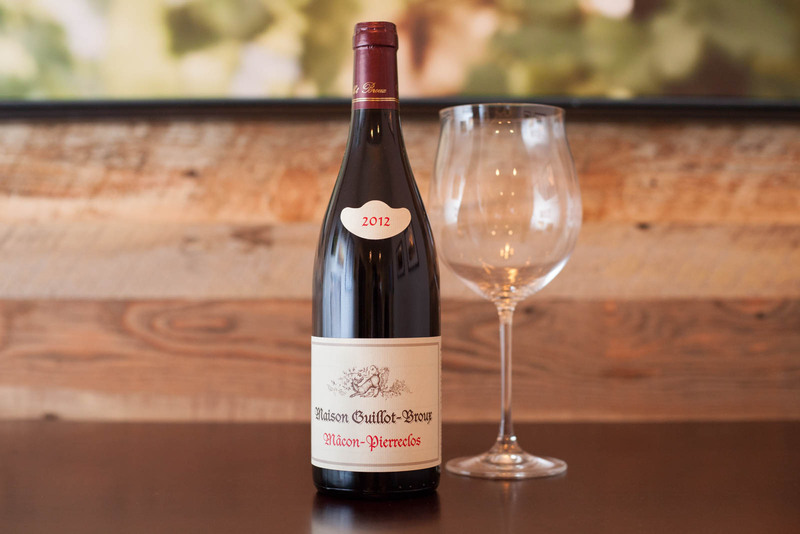 Whether its a testament to the soil or climate, I am not sure, but it is the kind of hard-to-pin-down magic that makes this style of Pinot Noir my favorite. You might have a hard time finding this bottle. Benoît Cantin is a small producer with a small operation, but what he has done with this Pinot Noir is nothing short of fantastic. 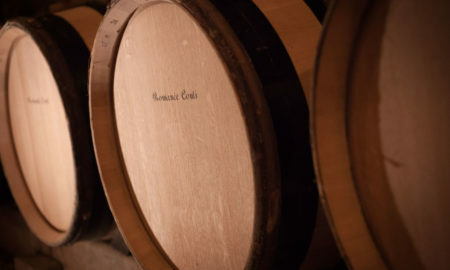 He also uses oak from his own forest to make the barrels that the wine ages in, so if you like to geek-out on locavorism and the Slow Food life, this wine hits the mark. Oh, and did I say that it costs only $24? Tasting Notes: Beautiful light garnet color. Almost glows, with some transparency. 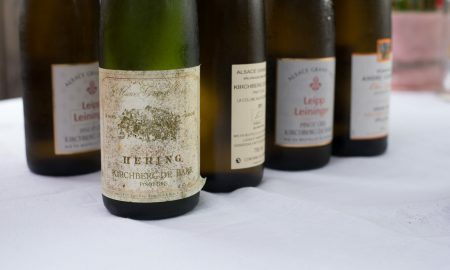 Purest expression of fruit on the nose, with notes recalling decadent swaths of cherry, kirsh, dry autumn leaves, nutmeg spice and roses all present. On the palate, demonstrates great tension between an even-keeled acidity and a little bit of oaky tannin. Somewhat short on the finish, but atypically, the second bottle was even more enjoyable than the first. Recommended for: Lamb burgers with feta cheese and roasted red peppers; smoked pheasant; or a simple beet and goat cheese salad. A wonderful food wine. 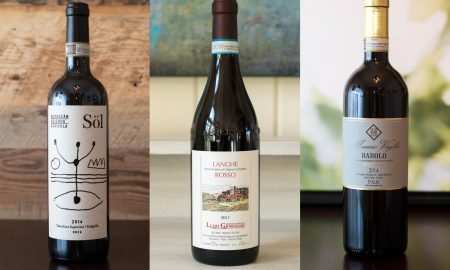 I’d be remiss without mentioning two other outstanding red wines that nearly claimed this honor this year. 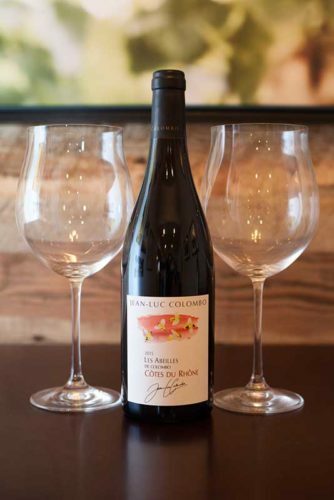 Unlike the Benoît Cantin, the Jean-Luc Colombo is not hard to find, and there is something to be said for that. For a large-production wine, it has quite the sense of character, and it retails for only around $12. The Ca’ del Monte embodies everything you could ask for in a cheap, everyday, pizza-delivery-and-Netflix kind of wine. It’s bittersweet tension is quintessentially Italian — you can’t duplicate this kind of wine anywhere else. And again, it costs $12. Tasting notes: An excellent value GSM blend with great balance of fruit, acidity and tannin for the price. Aromas recalled semi-sweet cherries, that wonderful smell after it has rained, and a faint bit of thyme. Deliciously fruity. Very smooth and clean on the palate with a somewhat meaty finish. Recommended for: We paired ours with crimini mushroom turkey burgers topped with sun-dried tomatoes. Like many Grenache blends, this would be a great wine with Moroccan cuisine as well. 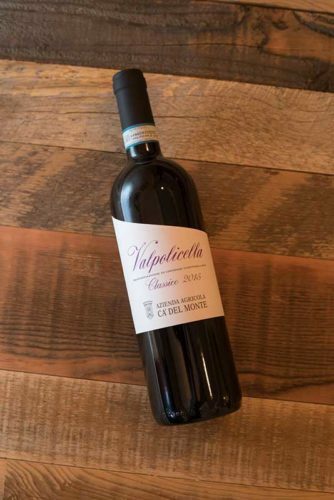 Tasting notes: Valpolicella Superiore is always a straight-shooter, but to my recollection, few satisfied to the degree of this bottling from Ca’ del Monte. It is delicious and delightful with crisp, bittersweet aromas of strawberry and cherry, with hints of salami and white pepper. Not highly aromatic or long on the finish, but it makes up for it with a light body, light tannin and low alcohol to be super food-friendly. Recommended for: Works great with red-sauce pizza (sausage and peppers especially), but would be interesting with winter vegetable stews as well. Note: The bottle of Jean-Luc Colombo “Les Abeilles de Colombo” Côtes du Rhône Rouge was provided as a sample by Palm Bay International. Learn more about our editorial policy.